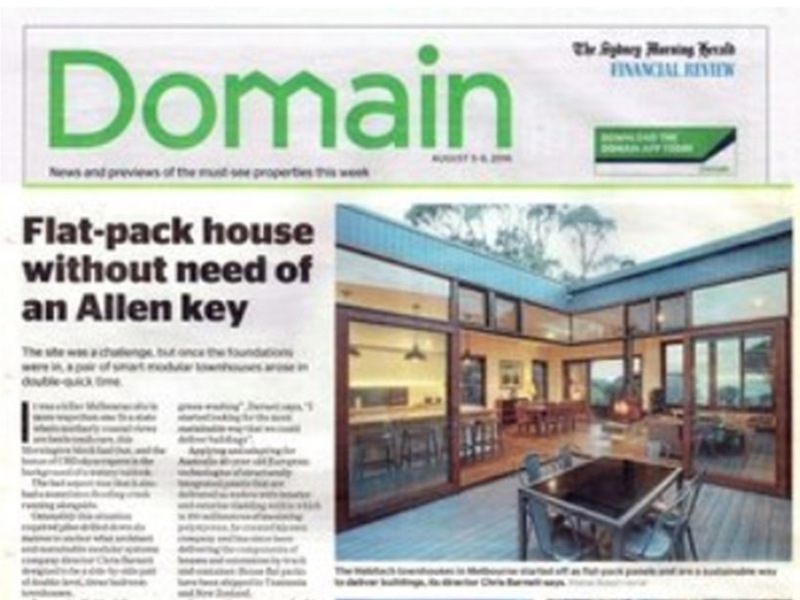 Habitech homes offer a new level of energy efficiency to the Australian housing market. While the benefits of investing in the thermal performance of building fabric are well understood in Europe, Canada and the US, until now the Australian housing industry has been slow in offering better quality options to consumers. We unlock the value design offers by offering full design services and utilising the full flexibility our modular construction system provides. We ensure the resources used to create your new home are used intelligently to create light, joyous and energy efficient spaces. Habitech's innovative modular wall system delivers high levels of insulation - in place and fully sealed. Achieving an insulation rating of R4.6, our walls provide over twice the insulation of standard construction. Our roof panels offer similar levels of insulation performance, with an insulation rating of R5.3, double that of standard roof insulation levels. Energy efficiency regulations and ratings have specified R-values. However these levels are rarely achieved when houses are built, as detailed below. Minimum energy efficiency requirements were only added to our building codes in 2009. Therefore Building Surveyors are only now starting to understand their complexity and have limited ability to ensure that insulation and air-sealing are done properly. One of the energy efficiency issues created by traditional construction is the gaps and cracks that come from building walls and roofs on-site as frames, with multiple layers of cladding, insulation and lining. Common industry outcomes leave the average Victorian home in Australia with the equivalent of 1.5m2 of area allowing air movement - which is a big window to leave open all winter. Our approach to delivering buildings in more modern and smarter ways avoids this whole issue. 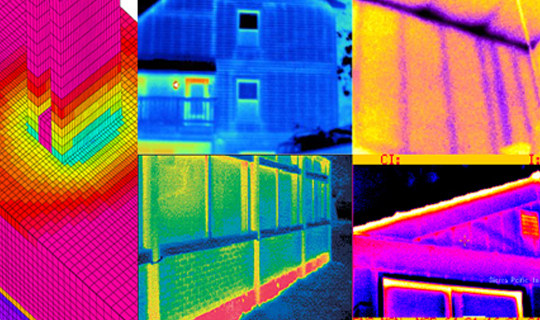 The introduction of minimum energy efficiency provisions in our building codes, has formed the first step in improving the thermal performance (and quality) of Australian housing. The housing industry now uses smart energy rating computer software to analysis specific design, located where they are to built and referencing local weather data. These programs determine star rating for specific designs under standard assumptions about occupancy and non-fluctuating internal temperatures - producing a star rating. Habitech staff were involved in the development of this sytem and fully support these policies to lift minimum performance. They already delivered great public cost and environmental benefits. However they are only part of the story. So what do the 'stars' actually tell us? The star rating of a design simply predicts the heating and cooling energy needed to keep a house comfortable. The less energy predicted to be used for heating and cooling, the higher the star rating. What is not commonly understood is that energy rating stars have NO direct relationship to the amount of energy a house may use in operation. While our building codes have added some consideration of hot water and lighting systems, the rating system does not even look at the active heating and cooling systems that may be fitted to the house. A house may have a passive cooling strategy, use relatively energy efficient evaporative cooling, or have windows left open and a thumping great air-conditioner running all summer. The next level of development in our rating system is the current challenge to show that what is predicted in a rating, is actually delivered to you as a home owner. With a 'bricks and sticks' construction approach that remains full of gaps and cracks, with little ability to certify how installation is installed, there is currently little evidence this is being achieved. We believe if you pay for a 6 star house, you should not be delivered something that performs at 3 stars. We are here to change that. We currently have one of our houses being monitored by Melbourne University and are in the process of undertaking thermal imaging and door-blower tests on some of our completed projects. While we can currently organise as-built certification of both insulation and air-sealing of our houses, we plan to offer it as part of our standard services in the future. When it comes to good design, we believe we have much to learn from nature. Our sustainable design philosophy looks to make each element in your house work harder, performing not just one function, but playing a role in a number of systems. This design approach is referred to as 'biomimicry'.